August 30, 1941 - Sox pitcher Johnny Humphries had his string of 35 consecutive scoreless innings snapped on a home run by the Browns Chet Laabs. The Browns won that afternoon going away 10-1. August 30, 1949 - The Sox organized and celebrated “Jackie Hayes Night” at Comiskey Park. 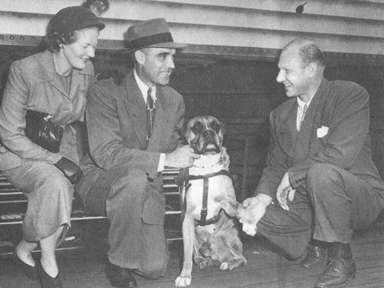 Hayes was a fine second baseman who suddenly lost his sight due to a cataract in one eye. Doctors were dumbfounded how a cataract could rob a person of sight in both eyes but unfortunately that’s what happened. August 30, 1959 - The Sox sealed a huge four game sweep of their closest pursuers in the American League by beating Cleveland at Municipal Stadium 6-3 and 9-4. Early Wynn and Barry Latman picked up the wins. The four game sweep increased the Sox lead to 5½ games in the league. Sox pitcher Bob Shaw started the first game of that series going the distance in winning 7-3 with five strikeouts. Over seventy thousand fans showed up for that game in the gigantic stadium. I asked him what he remembered from it. Outfielder Jim Landis also remembered that key series, maybe the key series of the 1959 season.
" I remember the place was packed (the smallest crowd for that series was the Saturday day game which drew over 50,000). That didn’t bother me or the guys because we played before large crowds all year. The way we looked at it was that we had a great chance here and in fact, that made us play even harder. We knew what was at stake but we were a very close team that was always helping one another. When I came up, guys like"Jungle" Jim Rivera took the time to help me. He wasn’t afraid of losing his job. That’s the way we were and it showed in those big, tough games." August 30, 1981 - The Sox dealt three prospects to the Twins for pitcher Jerry Koosman. It was a small deal pulled off by GM Roland Hemond that turned out to have big implications in future years. Koosman was like a second pitching coach, tutoring young Sox hurlers. He’d start games, pitch long relief and be a situational left hander in his two plus years on the South Side. He’d win 23 games and save five more. Koosman gave me his thoughts on being traded and what may have set it up in the minds of the White Sox. "I never thought about ending my career, but I also didn’t want to leave Minnesota. Because I was a veteran I had to give my approval on a trade and I did, after certain incentives were invoked. I don’t remember if the Twins or White Sox took care of them. I remember that when the Sox got me I had to join them immediately because they needed someone out of the bullpen. It’s actually pretty interesting how the Sox even got me. Because of the strike that year, Billy Gardner, the Twins manager, was using all the pitchers a lot, in different roles, just to help them get back in shape quickly. I saved like five games in a week and because a few of them were against Milwaukee, the Sox heard about it and noticed. They needed a left hander so they pushed for the trade." August 30, 1983 - Carlton Fisk, one of the fastest catchers in baseball history, hit an inside the park home run off the Rangers Dave Stewart at Comiskey Park. His drive struck the top of the wall in left center field and bounded back towards the infield. While the Texas outfielders were tracking the ball down, Fisk circled the bases. The Sox won that night, 5-0. August 30, 1990 - Ron Karkovice, one of the slowest catchers in baseball history, (although he amazingly had 10 steals in 1992!) hit an inside the park grand slam off the Twins David West at Minnesota. With the bases loaded in the fourth inning Karkovice hit a line drive just over shortstop that rolled to the wall in left center. Outfielder Dan Gladden was picking the ball up when he started to slip and fall. As he did so, he tossed the ball towards outfielder John Moses to try to start a relay, except that Moses wasn’t looking for it and the ball rolled towards center field. By the time the Twins got to it, Karkovice and all the runners had scored. It was the difference in a 4-3 win. August 30, 2004 - Sox outfielder Joe Borchard hit what’s believed to be the longest home run ever hit at U.S. Cellular Field. He drove a pitch from the Phillies Brett Myers, a future Sox pitcher, an estimated 504 feet to right field, smacking off the wall at the back of the bleacher seats. It was part of a Sox 9-8 win. This is right place where you get fallout shelter android hack online generate unlimited fallout shelter lunchbox and caps without downloading any file or something.